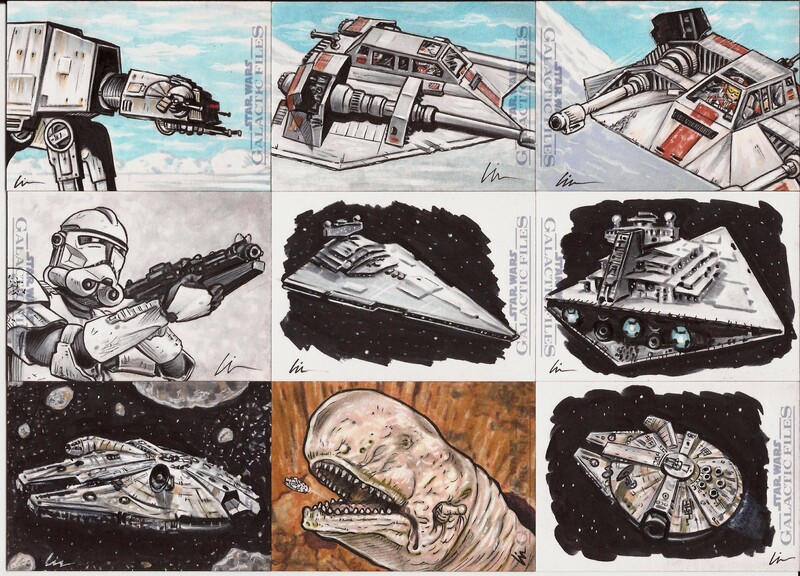 Star Wars Galactic Files Sketchcards- In The Home Stretch Now! 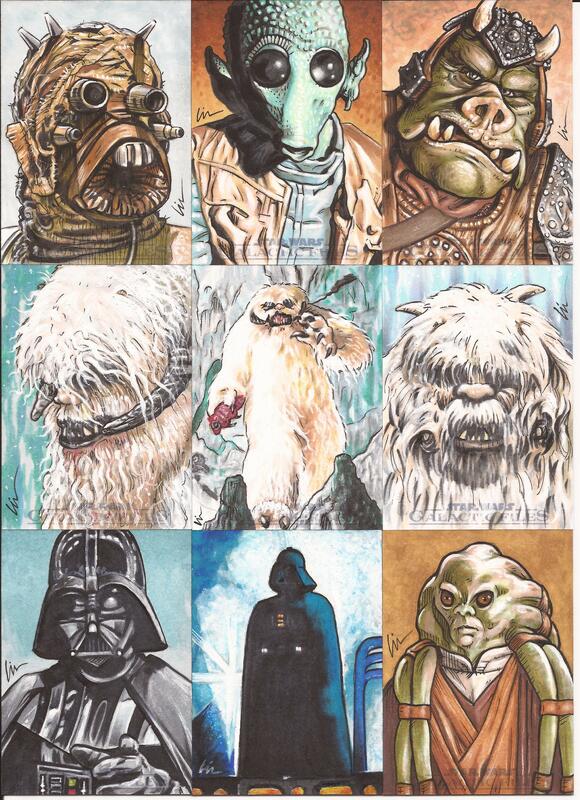 Got a few more Topps Star Wars Galactic Files sketchcards to share with you! Getting close to wrapping up this sketchcard gig. Just a few more to go today and tomorrow. As always I had fun drawing more creatures. And a few more vehicles. 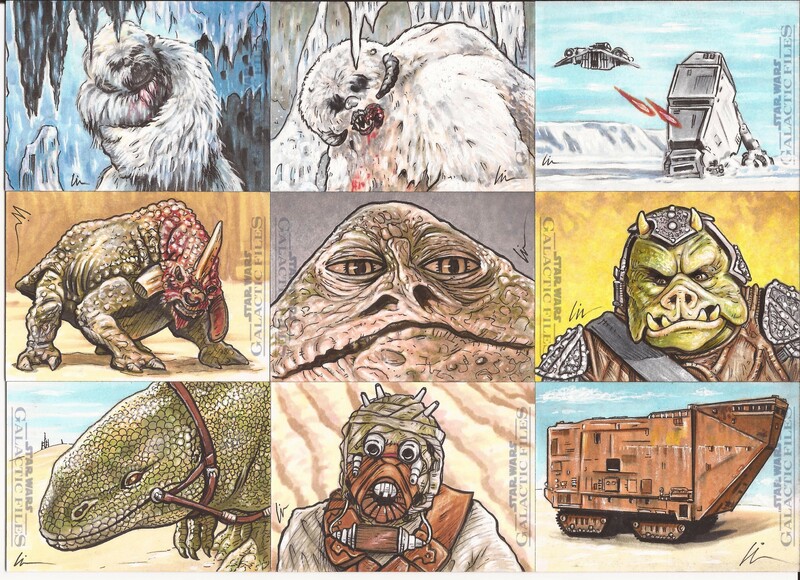 They always are very popular with Star Wars sketchcard fans– as is the “space slug” (or “Exogorth“- named by writer John Jackson Miller). 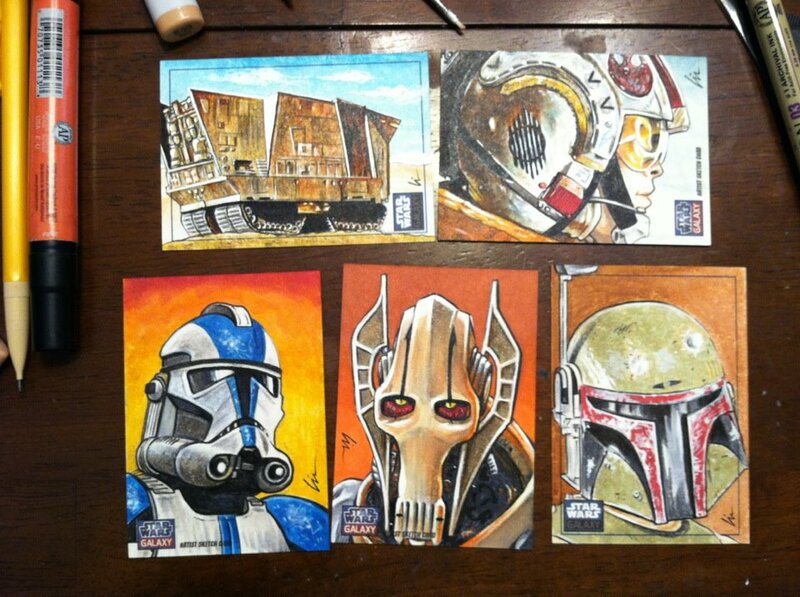 Don’t forget I have a few remaining sketchcards from Star Wars Galaxy 6 & 7 on sale for $125.00 (+ $5.00 s/h) through the end of the month. After that they will go back up to $150.00. 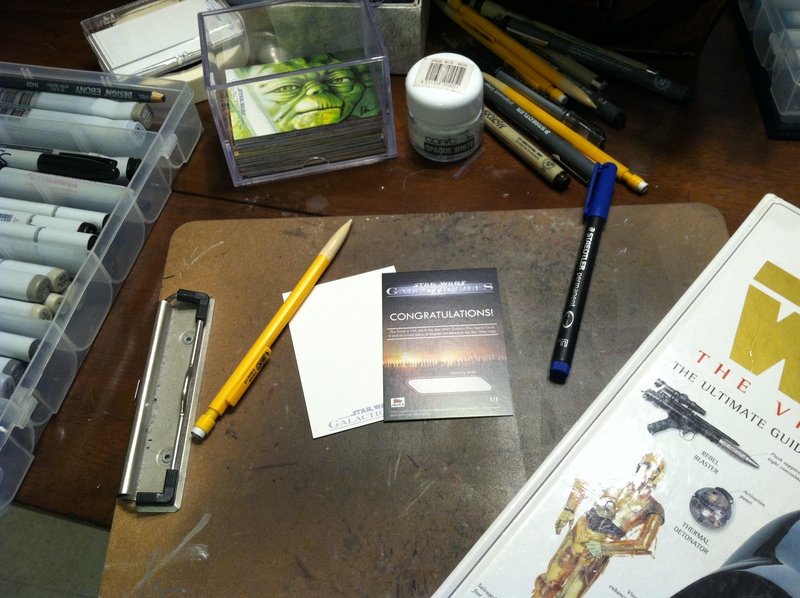 Each one is a one of a kind hand-drawn official Star Wars artist return card. Well, back to the drawing board. Will post more cards later this week! PS: Oh, before I forget- I was mentioned this week on the Nightgig Studios podcast, “Drawing the Wrong Conclusions #3, Super Trailer? Really?“. Apparently they have been in search of webcartoonists in Mississippi and ran across some of my “Scared Silly” toons on the internet. Thanks to them for the mention and wish them good luck on their webcomics search! ← “Eh- what’s up, DAC?” – Teaching Kids To Draw Funny!